Ka tahi tii ka rua tii. Ka noho mai te patii te patoo re. Ka rau na. Ka noho te kiwi. Ka poo he wai. Ko te tio e rere. Ra runga ra tope Kapeka. Tai tai to pi to paa. Ka hui a mai. Ka toko te rangi. CAN YOU HEAR ME ST. FRANCIS. 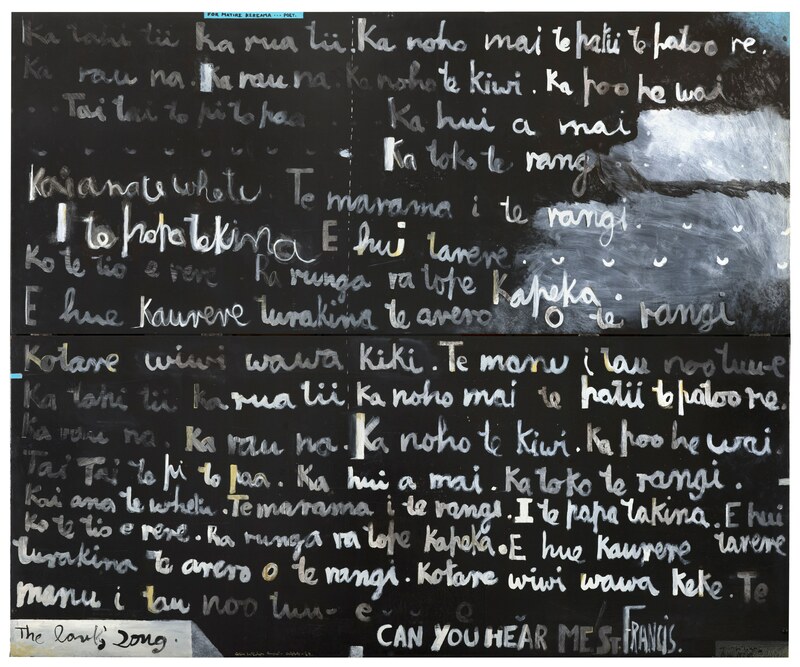 The main text is from chapter 21 of Matire Kereama's The Tail of the Fish: Maori Memories of the Far North (Oswald-Sealy, Auckland, 1968), while the last line is from Peter Hooper's poem of the same name.